The Lord Bishop of Newcastle: My Lords, I am grateful for the Question from the noble Lord, Lord Storey, and for the Minister’s answers to previous questions. At the Aspire Academy in Hull, an alternative provision ​academy that forms part of the Sentamu Academy Learning Trust, a unique multi-professional team that includes a clinical psychologist, a psychotherapist, speech and language therapists and educational psychologists is in place to ensure that students’ mental health and special educational needs are met. What steps are the Government taking to ensure that mental health care and special needs provision are part of what it means for alternative provision providers to offer a quality education? 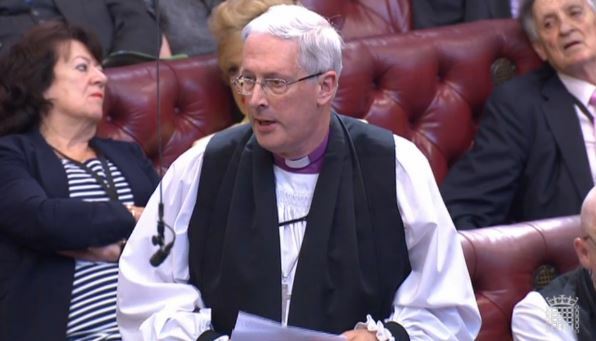 The Lord Bishop of Ely: My Lords, I understand that the purpose of the 2014 set of reforms was to ensure a holistic approach by health, education and social care services in the support of children with special needs and of their families. But when appeals take place, I understand that it is not uncommon for social care services to say that they do not know the child. Are the Government ensuring proactive co-operation between health, social care and education services in supporting such children and their parents? “we cannot allow our commitment to academic rigour blind us to the fact that we are teaching people, not subject matter”.